Rock stars have been smashing guitars for decades, few with more enthusiasm than guitar virtuoso Yngwie Malmsteen, named one of the Top Ten electric guitarists in the world by TIME magazine. 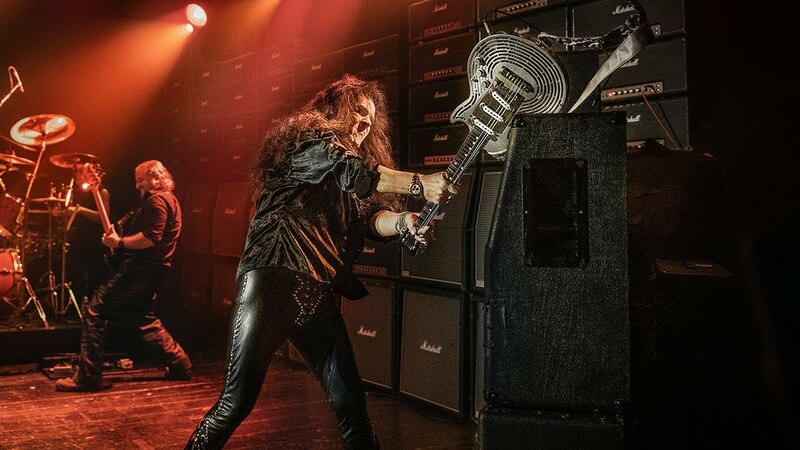 Sandvik decided to test their cutting-edge techniques by building the world’s first 3D printed, all-metal, unbreakable guitar and letting Malmsteen unleash his smashing skills on it. Sandvik gathered experts from across the company to demonstrate how its engineers could use sustainable, cutting-edge techniques to make something that is both highly precise and amazingly durable. Nobody had printed a guitar body of titanium before. 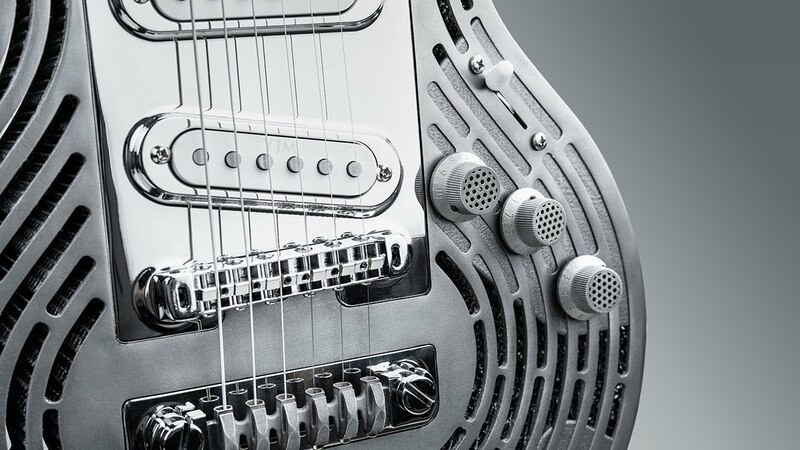 Drawing on the company’s deep, industry-leading knowledge of materials and manufacturing processes, Sandvik decided to use additive manufacturing, or 3D printing, for the guitar’s body. 3D printing allows tremendous design freedom. Complex internal lattice structures, impossible to mill, can be built into components to make them lighter, stronger and more flexible than ever before. The guitar body would need that once Malmsteen got his hands on it. But Sandvik’s design partner on the project, UK-based guitar designer Andy Holt of Drewman Guitars, had no idea if this was even feasible. “Nobody had printed a guitar body of titanium before,” Holt said. Andy Holt of Drewman Guitars assembles the guitar. Sandvik Additive Manufacturing engineers were confident they could do it. Amelie Norrby, an additive manufacturing engineer who participated in the guitar project, said that the printing process began with software “slicing” Holt’s design files into digital layers. Those digital design layers guided the printer’s lasers as they melted microscopically thin layers of titanium powder on top of each other until the body was built up. Called Powder Bed Fusion Laser, this additive technology is ideal for printing metal components with extremely complex geometries. "Additive manufacturing creates a three-dimensional object from a digital design. If you can design it, you can build it,” says Amelie Norrby, Additive Manufacturing Engineer. “As its name implies, additive manufacturing adds material to create an object. It builds up three-dimensional objects by adding layer-upon-layer of fine metal powder, and melting them together with, in this case, laser technology,” Norrby said. Each layer was 50 microns thick (thinner than a human hair). Printing the body took 56 hours. The guitar’s volume knobs and tailpiece, which anchors the strings, were also printed using additive manufacturing. Norrby chose to work in additive manufacturing because she thinks it’s one of the most disruptive technologies to have emerged in recent years. She also thinks its inherent sustainability makes it an important and game-changing technology for the future. Besides minimizing waste, additive manufacturing removes steps in the supply chain. “You go directly from a digital design to a three-dimensional product. And, if you locate production close to where it’s needed, you can also cut down on the storage, packaging and transportation of parts,” Norrby said. Sandvik is a world-leading manufacturer of metal powder for additive manufacturing and has all relevant print technologies for metals in-house, being able to select the most optimal print process and material for each application. The opportunity to solve highly complex production challenges with advanced technologies like additive manufacturing is why Norrby, a top engineering student during her university years, came to work at Sandvik. Yngwie Malmsteen discussing design details of the guitar neck and hub with members of the Sandvik team. Norrby’s additive manufacturing team worked closely with engineers at Sandvik Coromant, who milled the fine, luminous finish on the guitar body. And colleagues in Sandvik Materials Technology contributed with knowledge about how materials would be joined together. “We’ve been making our own metal powders for more than 40 years, and we’ve been selling them in the additive manufacturing market since 2002. Sandvik offers the widest powder alloy program for additive manufacturing, and we can even customize materials for specific customer needs,” said Norrby. To learn what happened to the 3D printed body in titanium, watch more here. But Norrby felt confident all along that the guitar would pass Malmsteen’s test. “I know my colleagues. They are world experts in what they do. When you put all this expertise together, we can create a guitar Yngwie will not be able to smash. That is something I’m sure of,” Norrby said, weeks before the instrument was even completed. This guitar is a beast! Sandvik is obviously on top of their game. "The most important thing for me is the neck," says Yngwie Malmsteen, here checking the straightness. You find more information about the various techniques used when building the guitar on our additive website.